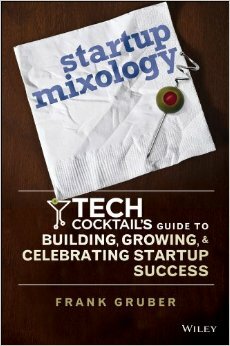 "A ficlet is a short story that enables you to collaborate with the world." Once a ficlet is written and shared, any other community member can pick up the narrative thread by adding a prequel or sequel. Like a "choose your own adventure" story, with Ficlets you know where the story starts but you don't know where the story will end. So if you start a story you might want to keep checking back to see where the rest of the community takes it. Ficlets are short stories so they range between 64 and 1024 characters. 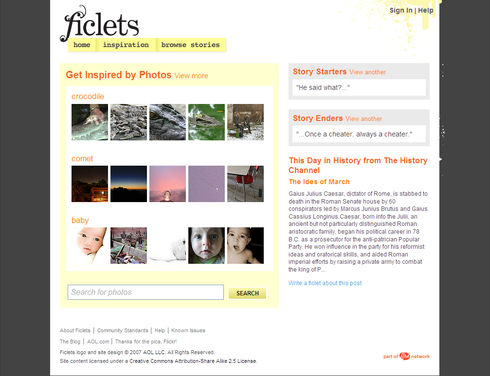 Ficlets looks to inspire ficlet writers by offering story starters, story enders, this day in history and Flickr photos. Users can search by tag for inspiration. Ficlets is a creative, longtail site that I could see ficlets being extremely compelling to creative writing students and educators. "Ficlets is very much an experiment (we like to call it "a prototype we just happened to launch"), and this is our very first release (we're the first product in AOL to roll out on Rails, so we've still got stuff to learn about it...). So, things may go weird and wonky from time to time. Just give it a minute, and then reload." For information and updates on Ficlets be sure to check out the Ficlets Blog.